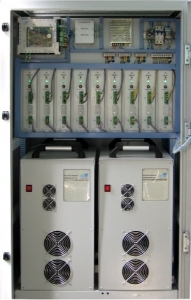 The complex of programmable power supplies (hereinafter - the test stand) is designed to equip the bench endurance tests of products of industrial production. One application - life test aircraft equipment under the Aircraft directory (External influences and test methods for aircraft avionics) AC 1.1.160F-2008 (RTCA / DO-160F). 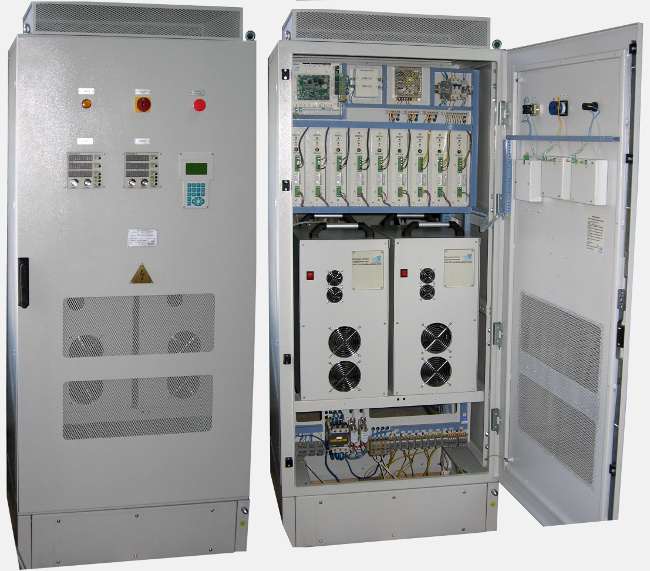 Test stand is designed as a one-sided maintenance base cabinet with degree of protection IP21 and the remote control (RC). three-phase frequency converter 400 Hz FC10 (2 pieces). The remote control is installed outside the cabinet and connected with cable. 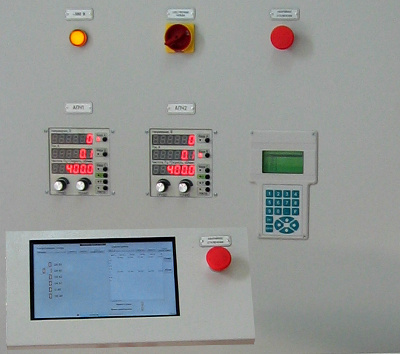 The structure of the remote controller included with the touch screen and the button «Alarm Stop». Manage all power supplies is possible with control terminal or remote control. Frequency converters can additionally be controlled by their control panels. Control from terminal is carried out in manual mode and allows you to manage, configure and checking all power supplies of the stand. The remote control can operate in automatic mode - the operator can create a command control sequence of power supplies and start up them for execute. 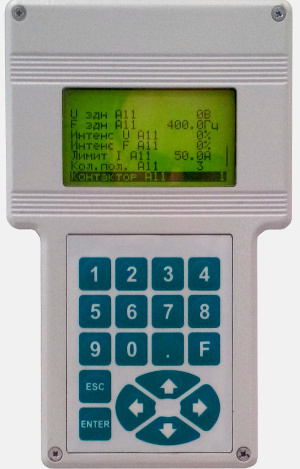 The remote control has a touch screen with a graphical user interface, which displays current information about the status of the equipment of the stand and the progress of the execution of command sequence. 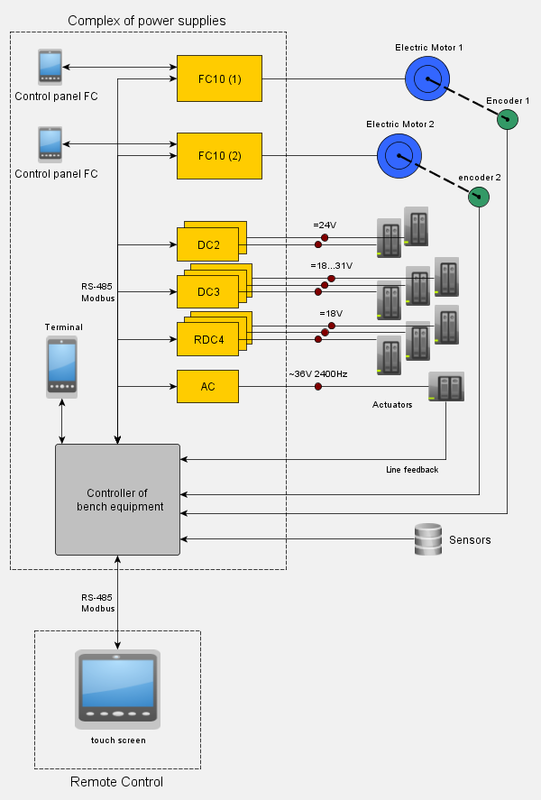 In RC use program "Test Bench".